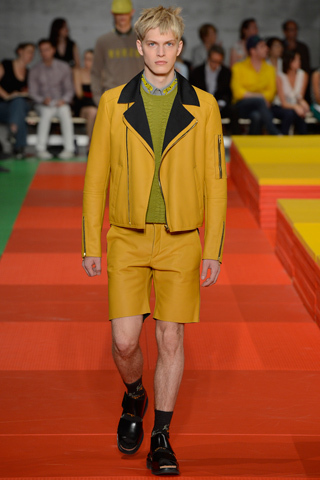 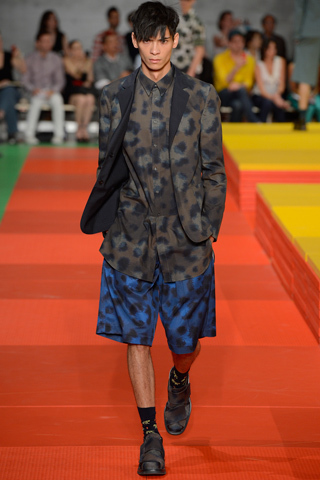 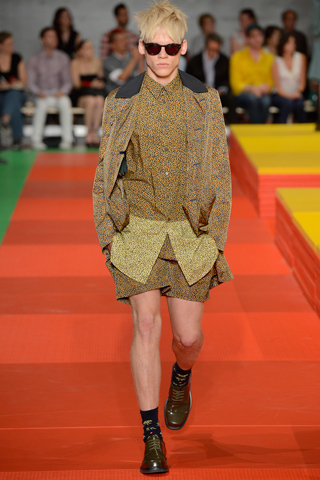 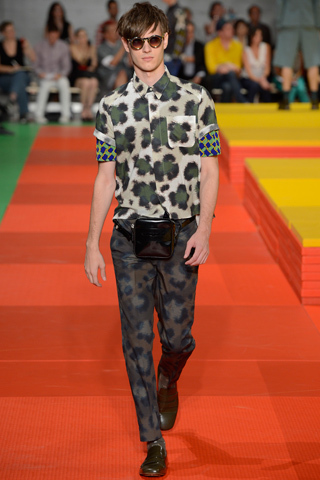 Kenzo stuck to what they do best for their Spring 2013 Menswear Show. 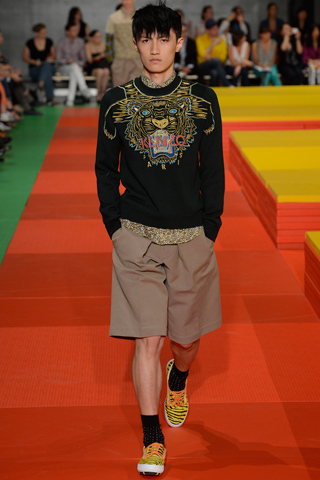 The abstracted animal prints, safari inspired looks and their signature tiger sweaters. 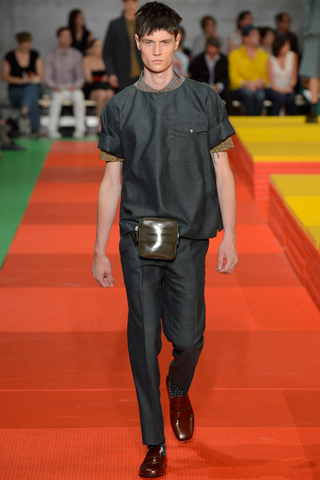 Loving the little leather fanny packs!